Motorcycle Machine Shop Services is a full service machine shop specializing in Harley Davidson style engines and Crankshafts. We stock hundreds of Harley Davidson Crankshafts of all makes and models of Harley style engines. We offer a customer's rebuilding service for all Harley style make and models Crankshafts. We have serviced the West Palm Beach area and beyond area since 1996. We also ship all over the world. Inspection authority on staff. Motorcycle Machine Shop Services is a full service machine shop specializing in Harley Davidson style engines and Crankshafts. We stock hundreds of Harley Davidson Crankshafts of all makes and models of Harley style engines. We offer a customer's rebuilding service for all Harley style make and models Crankshafts. We have serviced the West Palm Beach area and beyond area since 1996. We also ship all over the world. Inspection authority on staff. Motowearhouse buys and sells, trades and consigns, brand new and previously enjoyed motorcycle riding gear for all types of riders. Motowearhouse buys and sells, trades and consigns, brand new and previously enjoyed motorcycle riding gear for all types of riders. The Cheap Place is not a mega store. We are just a small family business providing quality embroidered biker patches to our customers. We got a collection of over 2000 different fun patches you can buy to sew or iron on to your clothing. The Cheap Place is not a mega store. We are just a small family business providing quality embroidered biker patches to our customers. We got a collection of over 2000 different fun patches you can buy to sew or iron on to your clothing. How do we stay small and sell big? It's simple: years of experience. At Adrenalin Motorsports, our mission is to offer you the latest in parts and products at the best prices, and with unparalleled service. We pledge to use our best efforts to make your experience both beneficial and enjoyable. Once you give us a try, we’re sure you'll be back for more! How do we stay small and sell big? It's simple: years of experience. At Adrenalin Motorsports, our mission is to offer you the latest in parts and products at the best prices, and with unparalleled service. We pledge to use our best efforts to make your experience both beneficial and enjoyable. Once you give us a try, we’re sure you'll be back for more! We are a locally owned and operated KTM, CFMOTO & HONDA dealer. We stock a variety of pre-owned motorcycles/ATVs and OEM parts for all major brands. We are a locally owned and operated KTM, CFMOTO & HONDA dealer. We stock a variety of pre-owned motorcycles/ATVs and OEM parts for all major brands. 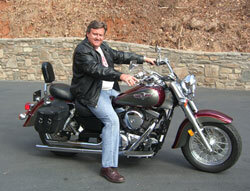 Jimmy's V-Twins - Best value for Harley Davidson repair & service in Orange County, CA. Affordable sales, installation of OEM & aftermarket Harley Davidson parts and accessories. Brake repair/service, tires, wheels, exhaust systems, oil changes, clutch adjustment & more. Jimmy's V-Twins - Best value for Harley Davidson repair & service in Orange County, CA. Affordable sales, installation of OEM & aftermarket Harley Davidson parts and accessories. Brake repair/service, tires, wheels, exhaust systems, oil changes, clutch adjustment & more. Welcome to Macomb Powersports, fueling your adrenaline since 1983. Here you'll find that the variety of powersports products is second to none. Macomb Powersports is your number one dealer for Honda, Yamaha, Kawasaki, Suzuki, Roadsmith and California Sidecar. We specialze in all of your needs for motorcycles, ATVs, scooters, personal watercraft, all-terrain vehicles and generators. Welcome to Macomb Powersports, fueling your adrenaline since 1983. Here you'll find that the variety of powersports products is second to none. Macomb Powersports is your number one dealer for Honda, Yamaha, Kawasaki, Suzuki, Roadsmith and California Sidecar. We specialze in all of your needs for motorcycles, ATVs, scooters, personal watercraft, all-terrain vehicles and generators. At American Rider , we are a global family of motorcycle enthusiast making dreams come true to all with the same admiration and love for motorcycles. Our passions run deep and our taste for everything to do with motorcycles diverse. Our product line reflects our diversity, and we have made it possible for everyone to come with us and enjoy the amazing, unique freedom that is motorcycling. At American Rider , we are a global family of motorcycle enthusiast making dreams come true to all with the same admiration and love for motorcycles. Our passions run deep and our taste for everything to do with motorcycles diverse. Our product line reflects our diversity, and we have made it possible for everyone to come with us and enjoy the amazing, unique freedom that is motorcycling. Cycle Dynamics offers service and repairs for all years, makes, and models of motorcycle. We are fully equiped for offroad, street, Harley, and any import. We have an in house Dynojet Dynamometer with air/fuel ratio gauge, and a full motor machine shop speciailizing in race tuning and motor building. Our dyno accommodates motorcycles, modlites, mini sprints, and quads. Cycle Dynamics offers service and repairs for all years, makes, and models of motorcycle. We are fully equiped for offroad, street, Harley, and any import. We have an in house Dynojet Dynamometer with air/fuel ratio gauge, and a full motor machine shop speciailizing in race tuning and motor building. Our dyno accommodates motorcycles, modlites, mini sprints, and quads. Motorcycle Training Academy is dedicated to providing state of the art basic and experienced motorcycle rider education through a student-centered approach. The philosophy of Motorcycle Training Academy is that individual responsibility and knowledge are the essential fundamentals that support safe motorcycling. Motorcycle Training Academy is dedicated to providing state of the art basic and experienced motorcycle rider education through a student-centered approach. The philosophy of Motorcycle Training Academy is that individual responsibility and knowledge are the essential fundamentals that support safe motorcycling. Motorcycle Indianapolis – IndyWest is one of the largest Harley-Davidson motorcycle dealerships Indianapolis has to offer. Get a load of our new and used bikes, genuine parts and accessories, and excellent services now! Motorcycle Indianapolis – IndyWest is one of the largest Harley-Davidson motorcycle dealerships Indianapolis has to offer. Get a load of our new and used bikes, genuine parts and accessories, and excellent services now! List your motorbike to get cheap quotes for transporting it in France or across Europe. Perfect for motorcycle enthusiasts. List your motorbike to get cheap quotes for transporting it in France or across Europe. Perfect for motorcycle enthusiasts. If you are looking for the best deals on motorcycles, dirt bikes or ATVs in Asheville, NC we have you covered. Our used motorcycles & bikes are in great condition & offered at the lowest prices! If you are looking for the best deals on motorcycles, dirt bikes or ATVs in Asheville, NC we have you covered. Our used motorcycles & bikes are in great condition & offered at the lowest prices! Builders and Sellers of bare bones, clean, fast choppers and bobbers. Builders and Sellers of bare bones, clean, fast choppers and bobbers.